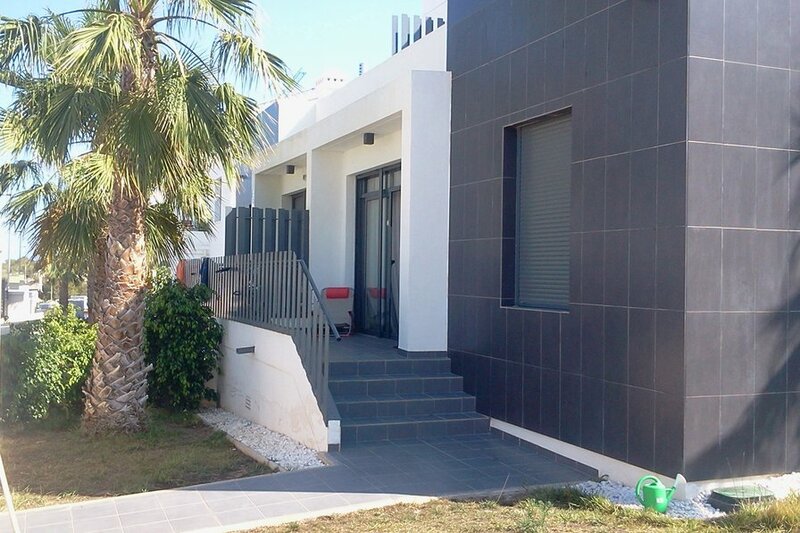 Our cozy house is located at distances of 3,6 km from beaches, between well-known golf courses: Real Club de Golf Campoamor, Golf Club Villamartin, Golf Las Ramblas de Campoamor. clean beaches, between well-known golf courses: Real Club de Golf Campoamor, Golf Club Villamartin, Golf Las Ramblas de Campoamor. New townhouse - 3 bedrooms ( one with 2-tier bed for three, two - with a beds of a size 160x200), open studio-kitchen (sofa-bed with spring mattress 150x190), 2 bathroom (toilet and shower), boiler room, solarium (40m2), terrace (10м2) and garden. Nearby are the rental cars . There are always cozy, comfortable, quiet, culturally and nice, close iodine and salt lakes. Therefore here is a unique climate. This is an ideal place for rest with children, especially with manifestations allergy and recreation for active people who play golf.